Report of a swan on the corner of Franklin/Summer St. that appears stuck. Has been at the location for 2 hours. Thank you for your concern, this issue has been received by our department. We will look into this issue further. Checked out, swan is fine. 2 storm drains directly across from one another are constantly clogged. Clogging retreats after an hour or more. 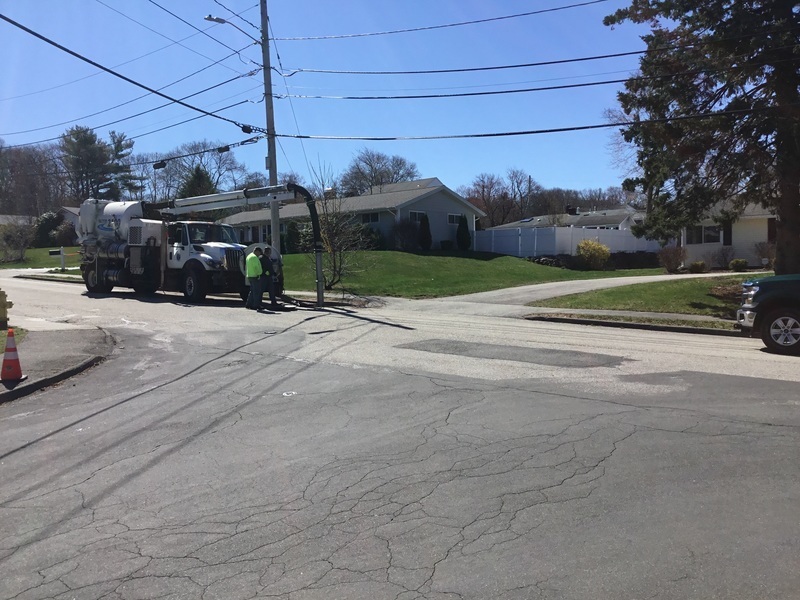 This first became an issue following the work on the neighborhood road repaving project in 2017. Apparently, no one has reported is as nothing has been done to repair this issue. I attempted to add a photo but the app would not allow me to. This photo was taken 3 hrs after the rain stopped on April 15th. Normal rainfall has the puddle which usually drains in an hour or two. Two very large holes opened up by recent downpour. Auto damage is imminent after dark. 5/23/2019 4:30 pm. The crosswalk on Peach Street currently has a barrel to remind people to slow down but the barrel is always getting hit. Is there a possibility of adding a flashing light or something like it to make the crosswalk more noticeable. Thank you. I’m glad I’m not the only one complaining about speed and fallen / hardly ever standing barrel on Peach St ! If you put a cop by the town park on Peach st you could write speeding tickets all day and night. Perhaps a (slight) hump and light ( as is the case in front of Sullivan tire on Common street) would appropriate for this location. We have resolved the issue. Thank you for reporting it. This concern was brought to the attention of the manager of the South Shore Plaza. This intersection is incredibly dangerous as people turning left out of Forbes Rd to go toward the highway do not yield to oncoming traffic. There is only one lane that is supposed to turn left, yet people create 2 lanes which causes even more challenges. If there hasn't been an accident yet, there will be. The intersection is owned and operated by MASS DOT. 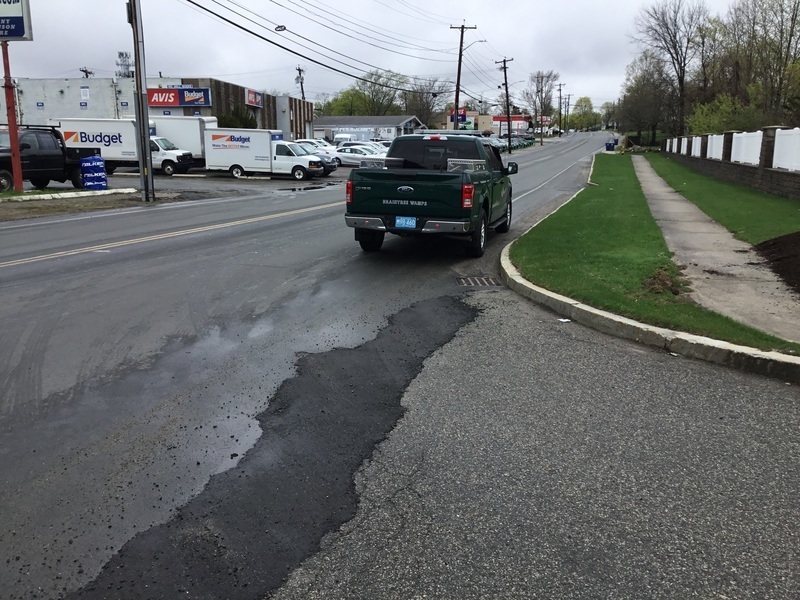 This issue has already been reported numerous times and each time MASSDOT was notified by the town that the arrows on Forbes are missing on the pavement. Curbing without curb cut on sidewalk behind Tokyo. Opposite that is a curb cut always filled with water. Too deep to roll through without risking wheelchair motors. This concern was brought to the attention of the South Shore Plaza manager. 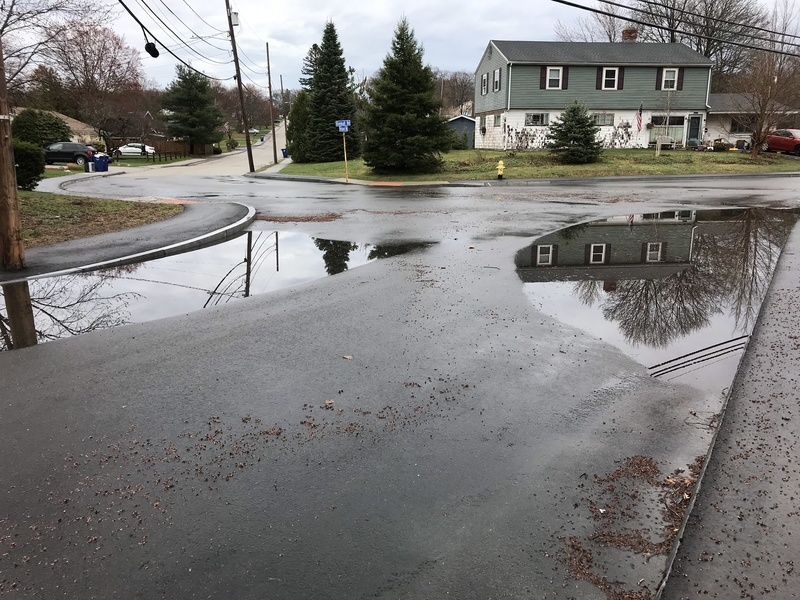 There are several potholes located at entrance to 614 Pond St.
Would like to know why some of the issues are removed and others not. Some newer closed issues were removed from this site but older closed issues are still on. It seems to be selective of who gets their address removed.